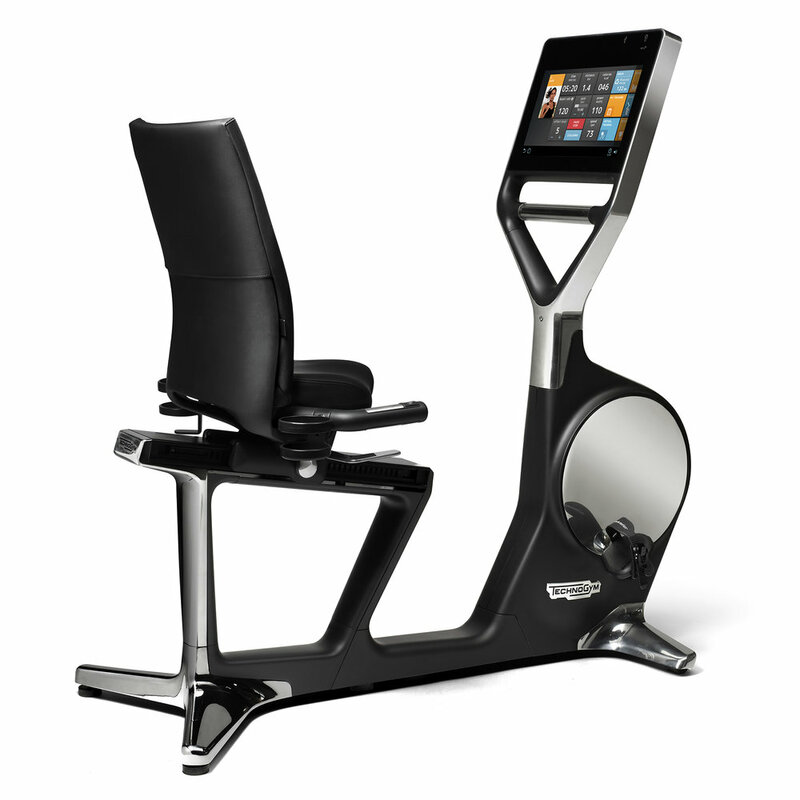 Recline Personal integrates performance and style, biomechanical excellence and innovative entertainment. The perfect balance between technology and design. Maintaining and improving fitness levels. Toning legs without straining the back. Both advanced workouts and moderate cardio activity for deconditioned users. The ergonomic adjustable seat designed by Vitra ensures that correct posture is constantly maintained, without straining the back muscles. Thanks to the technological drive transmission system, pedaling is extremely smooth and silent. The automotive style loudspeakers, which accompany workouts with a clean wrap around sound, are located under the seat and well out of sight. Micropolished steel with a sleek mirror finish in the front section of the equipment enhances the style of the product making it easy to suit any interior environment. The die cast aluminum frame and the craftsmanship which can be seen in its polished finish make Recline Personal a unique example of style and robust quality. 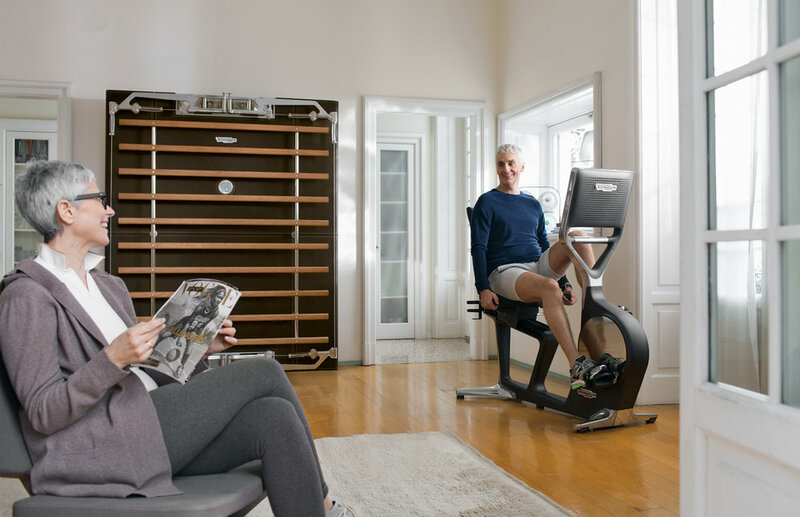 Fill out the form below to start building your designer fitness space today. How Did You Hear About TechnoHome?